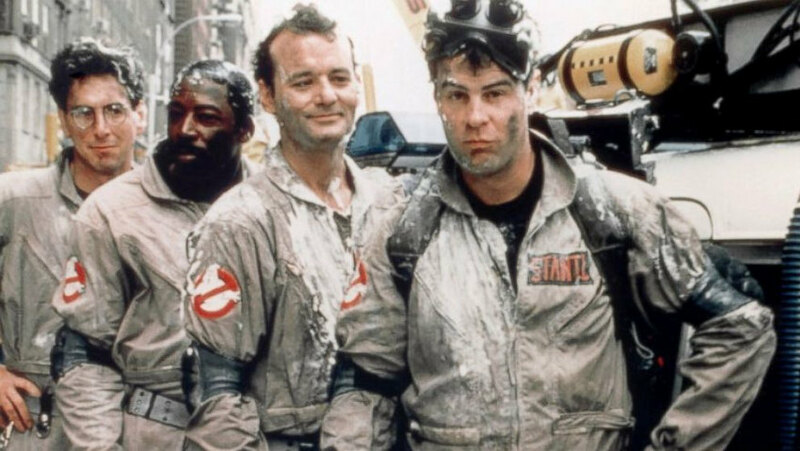 Dan Aykroyd once again says a Ghostbusters 3 is in the works that will reunite the original cast, including Bill Murray who has been reluctant to take part in any sequels. Aykroyd appeared on The Big Interview with Dan Rather where he was asked if there was "any chance for a real honest Ghostbusters 3." "Very, very much so," Dan Aykroyd said and then proceeded to talk about the recent all-female reboot. "Now let me say this about the girls movie that they made. It was really good. And [director] Paul Feig made a good movie, and there are some great things in it and the girls are great in it," Aykroyd said. "I was mad at him because he cost too much. I don't want to slag a fellow artist, but had it cost a little less and had he listened to some of our suggestions on budget then there might have been another girls movie. That would have been great. 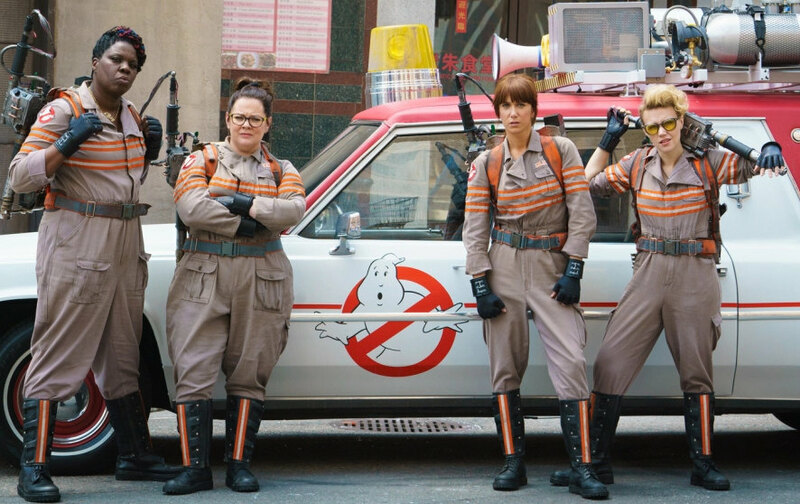 I'm sorry that's not happening because... boy, they were terrific Ghostbusters, Kate [McKinnon] and Melissa [McCarthy] and Leslie [Jones] were just great, and Kristen Wiig of course. I love those women. I love their performances. I wished for them that they would have been able to make another one. "So that door is closed now, but yes, to answer your question, there is the possibility of a reunion with the three remaining Ghostbusters. Yeah," Aykroyd said. Dan Rather points out and makes it clear that Dan Aykroyd is talking about a "full-blown third Ghostbusters." "I think we got a story that's gonna work. It's being written by a really good filmmaker, can't say the names, but they're a good team, they're making an effort to bring back all the spirit and the emotion of the first two movies, and then take it into the 21st century with a vernacular that's needed today to get it across," Aykroyd said. Dan Rather then mentions that Bill Murray has been reluctant to make a third movie. "Yeah, we weren't going to do it without him," Aykroyd offered. "Well, I wish we had done the second one sooner, but you know Billy was on to new things. You can't drag a person to do a part unless he wants to do it. 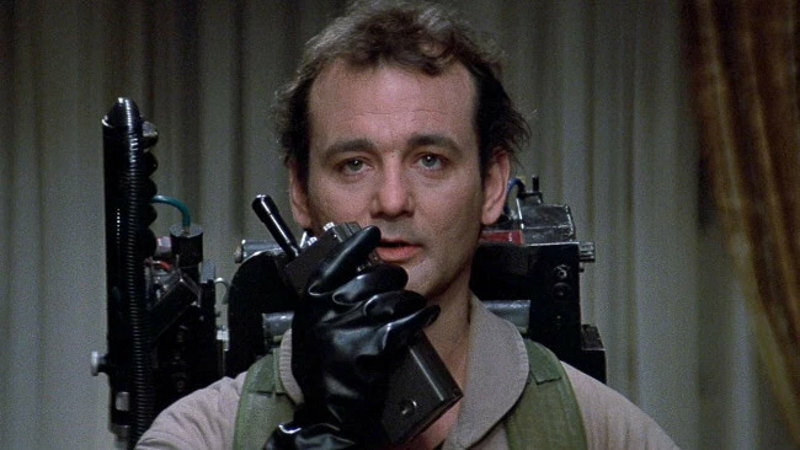 He'd done the part of Venkman and thought that was fully explored, but boy he was great in the second movie. He's the greatest comedic leading man in history. He was so terrific in that second one. The second movie holds up to some great stuff. The baby, Viggo, the river of slime. I'm very proud of the second movie as well." Dan Aykroyd continues with mention Ghostbusters 3 should be happening soon: "I think to answer your question in the next couple of years we may be able to do a full reunion with... again taking into the 21st century, because there is a whole new vernacular now, there is a whole new essence of communication with our audiences we are going to have to hit. But I think we can do it." Dan Rather again mentions Bill Murray and asks for confirmation about his involvement in Ghostbusters 3. "I think Billy will come... the story is so good. He'll come. Even if he plays a ghost. I don't know [laughs]," Dan Aykroyd said.